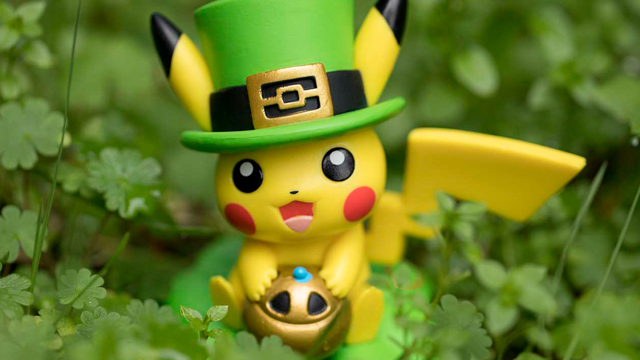 More Pokémon-related Funko Pops are incoming across 2019, thanks to a renewed partnership between The Pokémon Company International and purveyor of pop-headed figures, Funko Inc. While 2018 saw the meager release of two variations of Pikachu in Funko’s house style, the coming year’s new wave begins with the 12 figure “A Day with Pikachu” line. Beginning February 15th, the first of the “A Day with Pikachu” series launches with a Pikachu holding the Luck incense item (see top image). Funko is teasing most of the 11 remaining figures, with the major exceptions of the last three. 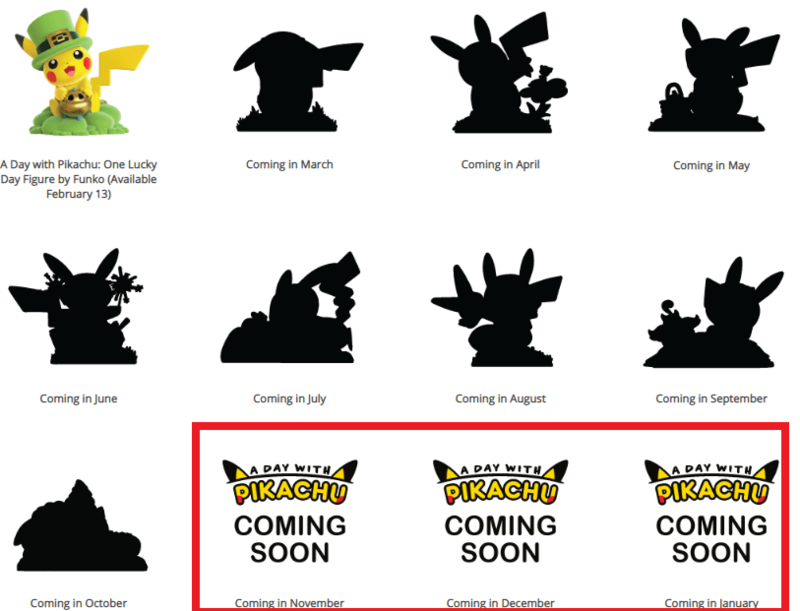 The “A Day with Pikachu” Funkos launching from November onward are covered up, leading to speculation that they may reference unrevealed Pokémon from the upcoming Generation 8 games set for Nintendo Switch this fall. Also launching on February 27th (aka Pokémon Day) is a new 4 inch Bulbasaur Funko. This Funko for Pokémon #001 promises to be the first of many other Pokémon in the line. While the Bulbasaur and other future Pokémon Funkos will be available in normal retail channels, the “A Day with Pikachu” series will be exclusive to the online Pokémon store, again beginning February 13th and launching monthly thereafter. 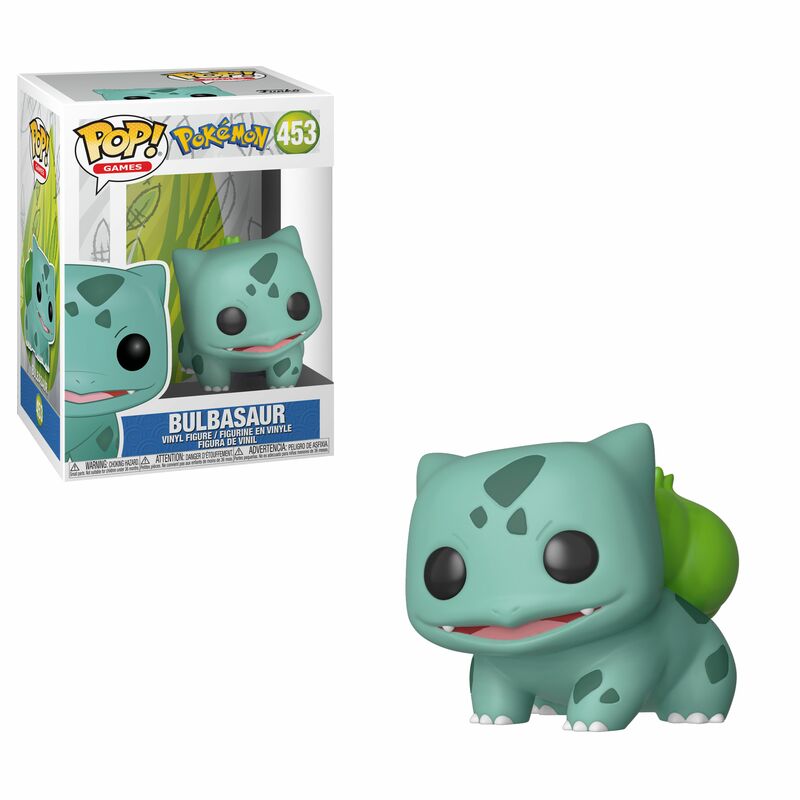 The Bulbasaur Funko is now live across multiple retailers for pre-order.